Home / Blog / Why Does Double Glazing Fog up? You have double glazed windows, but you can no longer see through them because they have misted up. So why does double glazing fog up? There are 3 places that condensation can form on a glass pane. On the outside. Congratulations, you have high quality double glazing. You are losing so little heat through your windows that the outside pane of the window is cold enough for condensation to form on it. This usually occurs in the early morning and disappears as the sun rises. On the inside. This is very common and can happen on even the best double glazing. It is more common in very cold weather. You may need to improve ventilation in your home. 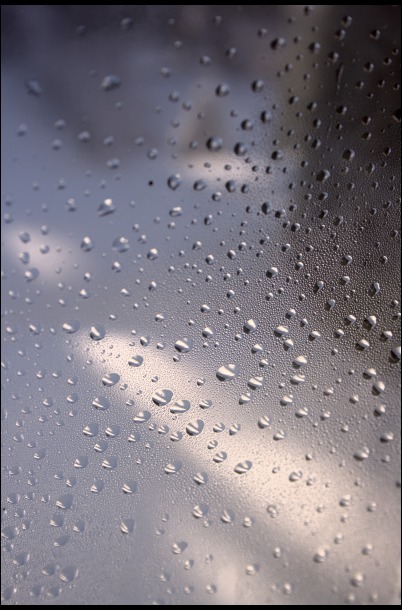 Better performing double glazing reduces the amount of condensation that forms on the inner pane of the window. In between the two panes of the double glazing. This unfortunately means that the double glazed unit needs to be replaced. This post will explain why this happens. Double glazed units are also called sealed units. The perimeter of the double glazing is sealed and so the air or gas inside is trapped there for the lifetime of the unit. Between the panes of glass is either an inert gas or air. It is this dry air or gas that gives the double glazing its insulating qualities. As temperatures rise and fall both within the home and outside, the gas inside the unit expands and contracts. This puts pressure on the seal. Over time this wear and tear will cause the seal to break away from the glass panes. Once the seal has broken the daily expansion and contraction of the gas inside the double glazed unit leads to the infiltration of moisture. This moisture evaporates when it becomes warm and then condenses on the cold glass. The moisture is trapped between the panes and will get worse as time goes on. When Ambassador Windows install replacement double glazed units we take care to ensure that your new double glazing will not fog up in the future. The first step to preventing the problem from reoccurring is to ensure that you use only quality guaranteed double glazing. Our units are guaranteed for a minimum of 10 years. Double glazed units work best when the perimeter is not exposed to moisture for prolonged periods. When double glazing is fitted into a window frame it is vital that the area underneath the glass has drainage holes. Window frames will allow some water in over time and it is important that it can escape before it can cause damage to the unit seal. Ambassador windows will carefully check that drainage holes are both present and working. If not, we will make new drainage holes before fitting your replacement glass. Allied to the above point, and often overlooked, is that for water to escape through drainage holes it must be able to flow freely in the area below the glass. Plastic packers keep the double glazed unit raised by 4mm to 6mm from the bottom of the window and allow the water to drain harmlessly away. There is no quick fix or magic bullet to cure fogged-up double glazing, the only solution is to replace the affected units. Using quality replacement units is obviously important but even high quality double glazed units run the risk of failure if care and attention is not taken when installing them. It only takes a few minutes to ensure adequate drainage and packers are present but many installers fail to do this and so doom the new units to fail just as the old ones did. Ambassador Windows take pride and care in their work. We promise that when you have decided to spend your hard earned money on replacement double glazed units everything that can be done to ensure their longevity will be done.